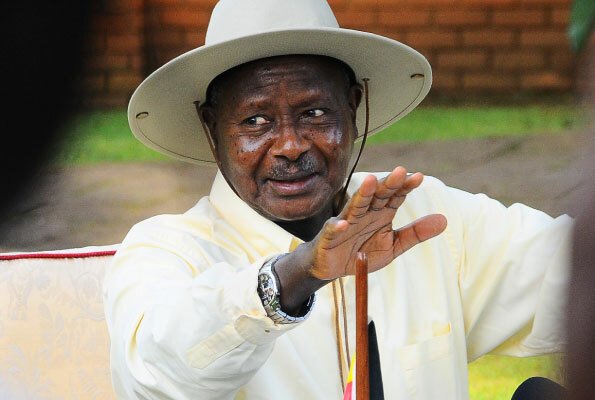 A deepening budget crisis in Parliament inflamed by a health sector in “shambles”, has forced President Museveni to summon a crisis Cabinet meeting tomorrow to discuss a give-and-take deal that would ease the passing of this year’s budget. Sources told Sunday Monitor that the discussion in Cabinet will focus on the government option of discussing the politics involved and the implications of rising this year’s Shs11.4 trillion budget by Shs39.2 billion for health sector. Junior Finance Minister Fred Omach is expected to argue in Cabinet that any attempts to bow to pressure in Parliament would “disorganise” the budget priorities and that this would require the ministry to align the budget afresh, hence delaying its execution. The Budget Committee of Parliament has since recommended that wasteful areas in some votes be cut by 30 per cent to raise the Shs39.2b needed to motivate and recruit more health workers in the country. This proposal was rejected by the President after Parliament recommended that defence budget be cut by Shs15 billion. The President on Monday reportedly stormed out of the NRM caucus meeting at State House after he was heckled by defiant NRM members. Trouble started after the President said he couldn’t “sacrifice the defence budget for anything”. The President has proposed that the budget be approved and the government brings a supplementary request at a later date to address the challenges in the health sector. The president also said government would recruit 1,000 midwives this year and that the health sector will be prioritised next financial year. Sunday Monitor understands that there will be an NRM caucus tomorrow to discuss the Cabinet position on the standoff holding the approval of this year’s budget. The NRM Caucus on Thursday had tasked Ministry of Finance to work with Ministry of Health with a view of finding the required funds through re-allocations within the budget or a supplementary. On Wednesday President Museveni summoned Speaker Rebecca Kadaga to State House where the President reportedly demanded to know why Parliament was holding the passing of the budget. But Ms Kadaga explained that she had asked the budget committee to harmonise the budget figures with the Executive after members vetoed a budget without the money for health sector. The budget deadlock has increased the pressure on government to fix a “dilapidated” healthcare system and wobbled the centre of power in a rising political contest that has unsettled the relationship between Legislature and Executive. The government failure to provide Shs260b to health sector has infuriated lawmakers who are now accusing the government of being “insensitive” to health of Ugandans. The government has blocked the proposed Budget Committee recommendations to cut Shs39.2b from wasteful expenditures. Asked what will happen in the event that the government refuses to adjust the Shs11.4 trillion budget to take care of health sector, the former Shadow Finance Minister, Mr Oduman Okello, said the government would operate without a budget. Nicholas Opio, an independent legal analyst, said the power of Parliament is admittedly limited to approval. It is useful to distinguish between approval and allocation. The duty of allocation is the preserve of the Executive but the allocation is subject to the approval of Parliament. In arriving at approvals, Article 155 (4) requires that an appropriate committee of the house provides recommendations to parliament – the recommendation then provides a basis for approval or non-approval of the budget by the house.